Here are the links to view the November 30th concert. Each link is for one-half of the concert; when you open them, click on each photo to view the song/choir you wish to view. These links can be forwarded to your choir members, family, etc. Feel free to share! Thanks again to all who shared of their time and talents to make this a very special start to our Advent/Christmas season!! 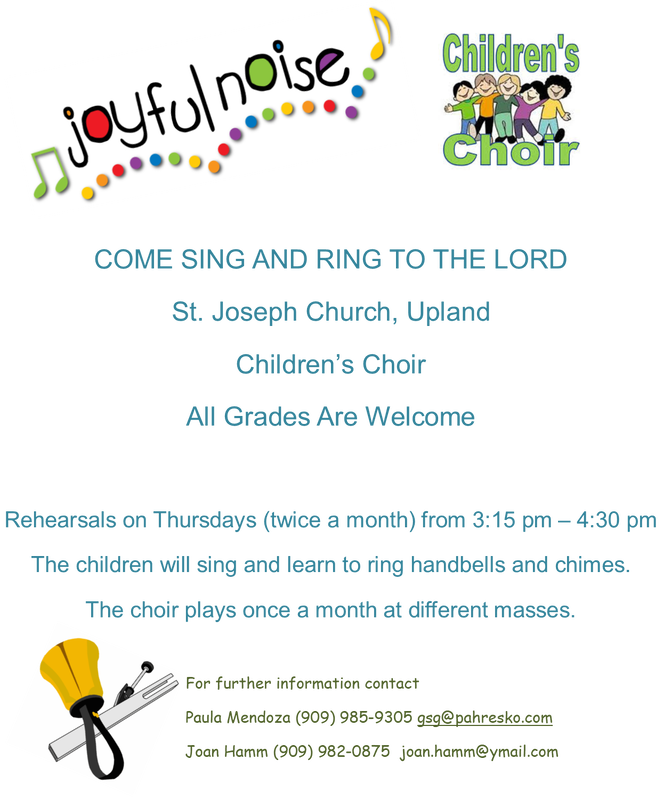 Find out more about the music ministry here at St. Joseph. Click on the link below to view the debut of our new "Make a Joyful Noise" choir.